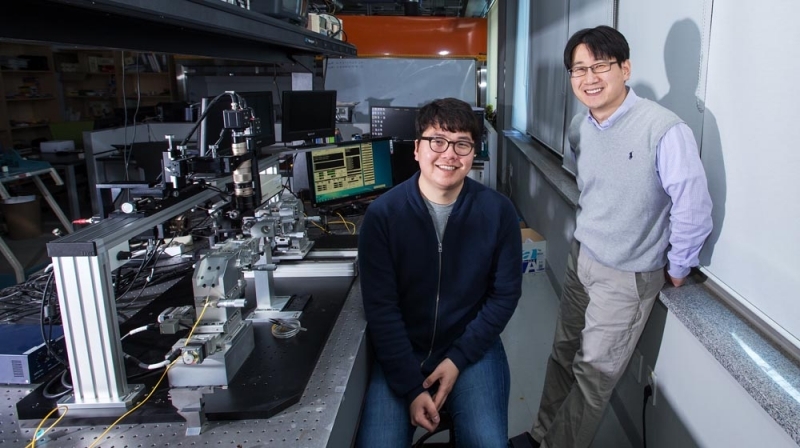 Prof. Min-Suk Kwon (right) and his student, YongHan Kim (left) are standing beside the equipment that can analyze the plasmofluidic disk resonators (PDRs). Opening the door to ultracompact devices exploiting functional fluids. As digital data usage has soared in recent years, energy efficiency has become a critical factor for large-scale data processing systems. Therefore, footprint of devices becomes even more critical for applications with limited physical space such as on-chip, silicon-based photonic devices. Silicon-based photonics, for instance, uses particles of light called photons to carry and process information at very high speeds with extremely low power over a thin optical fiber, rather than using electrical signals over a copper cable. Among the various technologies for optical components, a silicon-based plasmonic resonator has emerged as a promising platform for optical signal processing and sensing. Nowadays, there is a strong demand that the footprints of silicon photonic resonators need to be reduced in order to increase the integration density of a silicon photonic integrated-circuit. However, with the current technology, silicon photonic resonators cannot be made small below the diffraction limit. 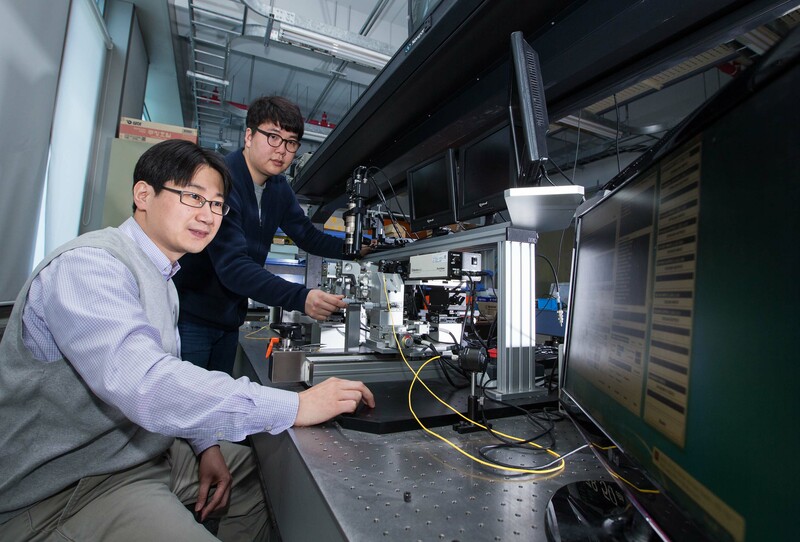 A team of researchers, led by Prof. Min-suk Kwon (School of Electrical and Computer Engineering) has announced that they have successfully developed a core material to downsize the silicon photonic integrated-circuits. This newly developed material is an ‘optical resonator’ and is capable of trapping specific wavelengths of light. Therefore, it can be applied as modulators, switches, sensors, and filters. They suggest that by switching from silicon photonic resonators to plasmonic resonators, ultimate reduction of the effective mode volume of a resonator can be obtained. According to Prof. Kwon, photonic components currently used in optical interconnects are relatively large (3~5μm) and not ideally suited to on-chip, high-density integration. Therefore, there has been a strong demand that the footprints of silicon photonic resonators need to be reduced in order to increase the integration density of a silicon photonic integrated-circuit. 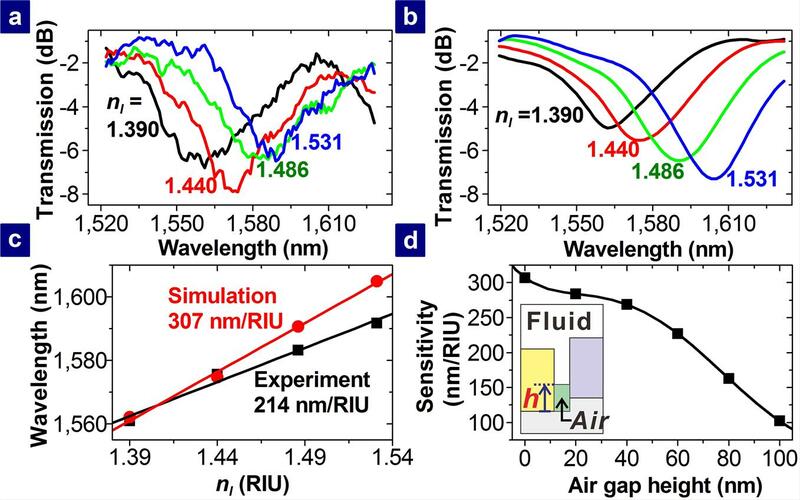 In this study, Prof. Kwon’s team reduced the radius of the optical resonator by 1μm. Schematic diagram of the PDR side-coupled to the MISIM waveguide. To cope with the increasing demand, the team investigated plasmofluidic disk resonators (PDRs), which are silicon-based hybrid plasmonic disk resonators, coupled to a metal-insulator-silicon-insulator-metal (MISIM) waveguide. According to the team, this silicon-based hybrid plasmonic disk resonators are expected to open the door to ultracompact devices exploiting functional fluids such as liquid crystal. Moreover, because these resonators are compatible with standard CMOS technology and can therefore be easily implemented into existing semiconductor process. This study, appeared in Scientific Reports on March 16, was jointly conducted by Prof. Min-Suk Kwon (School of Electrical and Computer Engineering) and his student Yonghan Kim (School of Electrical and Computer Engineering) at UNIST. Min-Suk Kwon, Bonwoo Ku, and Yonghan Kim. “Plasmofluidic Disk Resonators,” Sci. Rep. 6, 23149 (2016).